The old expression “a good craftsman never blames his tools” definitely applies in the kitchen, where chefs must be able to improvise quickly when an important kitchen appliance breaks down. On tonight’s episode of Chopped: Beat Bobby Flay, the notoriously unreliable ice cream maker ended up costing Chef Cory Morris his shot at besting Bobby Flay, allowing Seis Kamimura to steal the victory. Morris and Kamimura had their hands full this evening, as Flay did them no favors with the odd assortment of ingredients he picked out. Corn nuts, icebox cake and canned tropical fruit belong in Grandma’s kitchen, not on an intense reality TV cooking contest. However, the two chefs were able to make it to the finals by getting creative with ingredients that were used more for texture than for taste. It certainly looked like the two prior Chopped champions were neck and neck going into the final challenge, in which they were tasked with creating a dessert consisting primarily of plums, pancakes and crème fraîche. Morris had a great game plan, but unfortunately for him, all the skill in the world couldn’t save his creation from the dreaded ice cream machine. It’s not the first time the device has ruined dreams on Chopped, nor will it be the last. Since Morris dumped his entire stockpile of crème fraîche into the ice cream, he needed to find a way to salvage it. His solution (turning it into a butter for the pancakes) left a lot to be desired, and the judges didn’t seem too thrilled about being served a failed attempt at ice cream masquerading as butter. This miscue proved costly for Morris, who found himself on the chopping block. Kids love ice cream, but it’s possibly that Kamimura’s kids love ice cream even more after tonight’s events! After all, Kamimura said that he plans to use the $40,000 in prize money from the show to start a college fund for his four children. 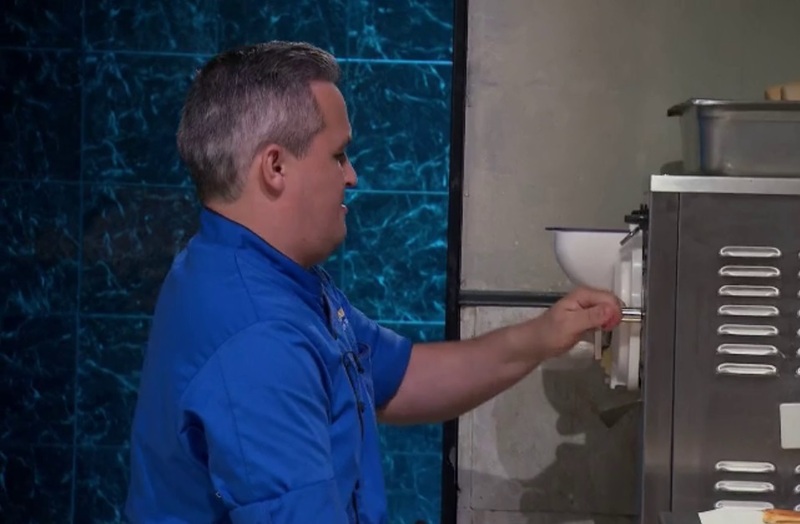 Of course, he still needs to beat Bobby Flay in order to claim the money, and if he wants to do that, he should know by now that he can’t rely on the ice cream maker to come through in the clutch! 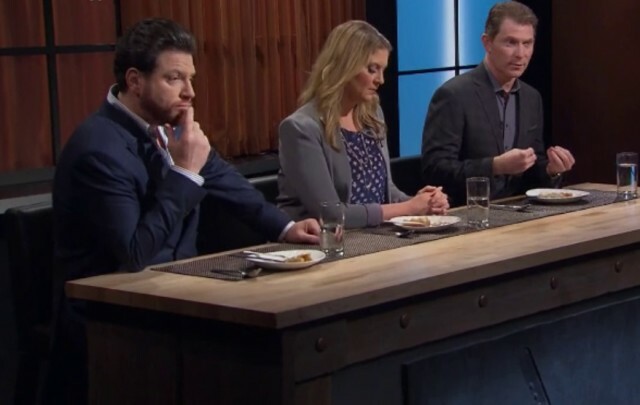 What did you think of tonight’s results on Chopped: Beat Bobby Flay? Comment and share your opinion below.